Americans are in for a treat on August 21st, when the USA falls under the direct path of a total solar eclipse. Skies will darken across a 70 mile wide stretch from Oregon to South Carolina, and multitudes of onlookers will travel hundreds of miles in order to witness the unforgettable, jaw dropping ‘path of totality’ experience. Every 18 months, both the sun and moon complete their journey through space, the moon orbiting on average 239,000 miles from the Earth. Both the moon and sun’s paths line up against each other, forming the solar eclipse. Onlookers will watch the moon block the last of light from the sun. Once this has occurred, the corona of the sun – the suns outer atmosphere – becomes visible. Although the appearance of the corona appears to be blurry, the light that is formed has also been described as jets and ribbons of light that twist and curl into the sky. Whilst this is happening, a huge shadow appears and moves across the Earth, with the path of the eclipse sending each area into what appears to be an eerie form of nightfall. The total eclipse will last approximately for 2 minutes 40 seconds, however, onlookers at different locations surrounding the path of totality may only witness the event for a few seconds. On the outer fringes of totality onlookers from other US states and a sizeable part of the world will witness a partial solar eclipse – a simple explanation would be that the moon appears as if something has taken a large chunk out of the sun’s disk (think of a round biscuit with a bite off the side). Onlookers in partial totality will not observe the moving of the darkness from their location, although they will experience some noticeable changes in light levels. An interactive map is issued by NASA in the event of a total eclipse. This allows us to track the path of the eclipse and provide the precise locations where any forthcoming total eclipse will be best observed. Many parties and events are often organised within prime locations and cities that fall within the path of totality. On average, 2-5 solar eclipse actually occur during a 12 month period. 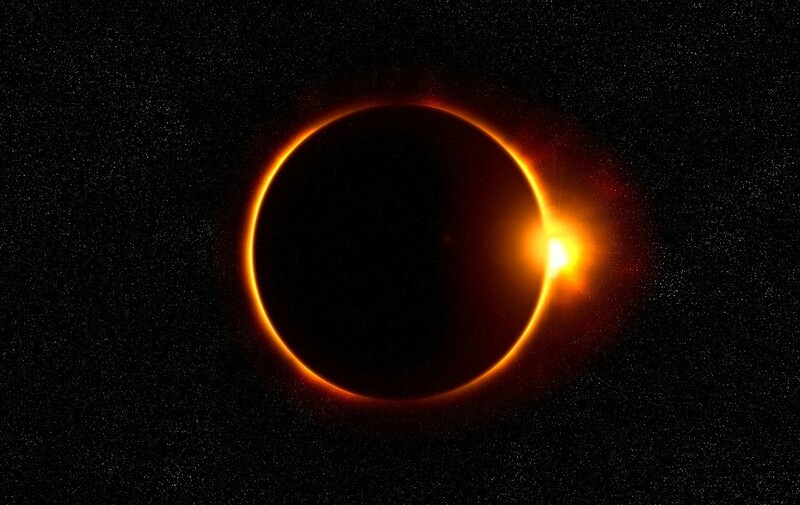 It is only the total solar eclipses that occur approximately every 18 months. In the United KIngdom, we will experience a partial eclipse on that day, with first contact beginning in London at 19:40, the maximum of partiality at 20:04, and last contact at 20:28 GMT. SAFETY INFORMATION: In the event of a total solar eclipse, when the moon is covering the sun’s disk, it is still important to for onlookers to wear or use suitable eye protection, such as Mylar filters, as looking up directly towards the sun even when it is partially visible can cause severe eye damage and could lead to blindness. Tardigrades, also known as Water Bears, Space Bears or Moss Piglets could be the last surviving animal on Earth according to recent studies. These water dwelling, eight-legged, segmented microscopic species were first discovered by Johann August Ephraim Goeze the German Zoologist in 1773, but were not given a name until three years after their discovery. They were finally given the name “Tardigrada” which means ‘Slow Stepper’ by Italian Biologist, Lazzaro Spallanzani. Recent studies have shown that the small microscopic creatures appear to so resilient, they could survive for several billions of years. Tardigrades have been found living in a multitude of locations, whether it be on top of the highest mountain to the deepest of oceans; from tropical rainforests to the extreme temperatures in the Antarctic. Now knowing that these critters are able to survive in such extreme conditions on Earth, suggestions have been made that maybe it isn’t impossible for life to exist within inhospitable environments. 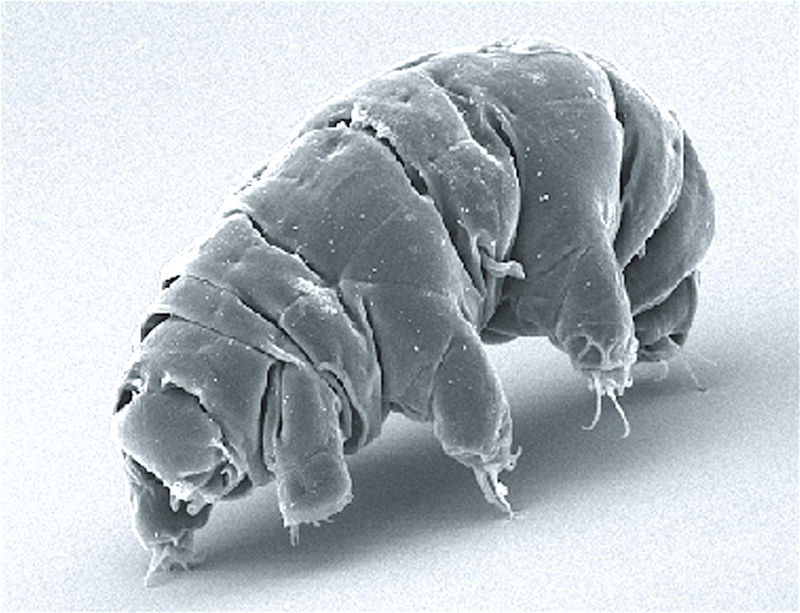 Tardigrade image courtesy of Schokraie E, Warnken U, Hotz-Wagenblatt A, Grohme MA, Hengherr S, et al. • Asteroids – otherwise known as a meteorite when falling onto the Earth – it can cause potentially huge damage, depending on the size and could if large enough cause what is referred to by scientists as an Extinction Level Event. • A supernova (an explosion of a massive star following the exhaustion of its fuel through burning, at a distance of 0.13 light year of Earth) – the nearest star that would be big enough and capable to go supernova, i Pegasi, is fortunately just over 147 light-years away from Earth, and by the time it does in five million years time won’t exactly be a major concern to our readers. • Gamma-ray bursts – these extremely rare explosions are thought to originate from powerful supernovas or colliding stars. Following their studies, researchers have now disregarded the fragility of humans, and aimed their interests into these microscopic survivors. With their ability to exist in temperatures ranging from -272°C, up to a staggering 150°C, the severe pressure of the deep ocean, exposure to radiation and voids in outer space, these micromonsters seem almost indestructible. Researchers believe that Water Bears are so robust, they would withstand a nuclear war, global warming and any other astronomical events that could be destructive to the Earths atmosphere. It is believed that the only way a Tardigrade could finally be exterminated would be if the oceans were to boil dry. A team of Astrophysicist’s at Harvard University in Cambridge, Massachusetts calculated how big an asteroid, the strength of a gamma-ray burst , the size and severity of a nearby supernova would have on the Earth to be able to cause the oceans to boil. The team discovered that there are 19 asteroids within the Solar System capable of causing mass destruction; none of which (luckily) are currently on a collision course with the Earth. With all these scenarios in mind, we must remember that if any of this were to take place, human life as we know it will be almost certainly wiped out. Tardigrades may currently be avoiding death, but if researchers and scientists are correct within the next seven billion years, the sun will eventually evolve into a Red Giant. The Earth’s water would eventually evaporate under this event and life would become impossible. Until this eventuality, Tardigrades will simply continue to battle on through probable catastrophes. In the meantime, following this research, scientists have been encouraged and are even more determined than ever to find life elsewhere in the universe. It’s been five years since the Curiosity rover, NASA’s mission to the Red Planet landed on Mars. Since its arrival on August 5th, 2012, the robot has gathered an incredible wealth of vitally important data about its surroundings and terrains. The investigations that Curiosity was designed to undertake on Mars included searching for evidence of life within the Gale Crater on Mars, a mountain of layers of different materials in the centre. To understand the size of this crater, the mound would be the equivalent to a mountain spanning 5 kilometres in height (3 miles). Within each layer, Curiosity has searched tirelessly for signs of previous life, namely the possible existence of ancient microbes. The work undertaken included the turning of rocks across within the crater, and finding evidence of a lake that had been fed by rivers from within the crater itself. Discoveries made included organic composites and further compounds for natural life. The investigations have been extended through to October 2018 with a view that there is still an extensive part of the mission to complete, including a number of interesting chemistry and geology studies. Curiousity continues its journey to the peak of Mount Sharp, which lies at the centre of the crater whilst exploring three new rocks layers, each dominated by three individual types of element: the iron mineral Hematite, clay and sulphate salts. With it’s onboard microscopic camera, the robot is able to obtain microscopic images of each layer. Even so, microfossils and well preserved cells can still remain unseen by the lens due their size. All is not lost, due to Curiosity’s onboard chemistry lab ‘Sample Analysis at Mars’. The lab has already successfully identified many organic molecules to date, including Chlorobenzene, an organic molecule with a carbon ring, within the dusty desolate landscapes on Mars. 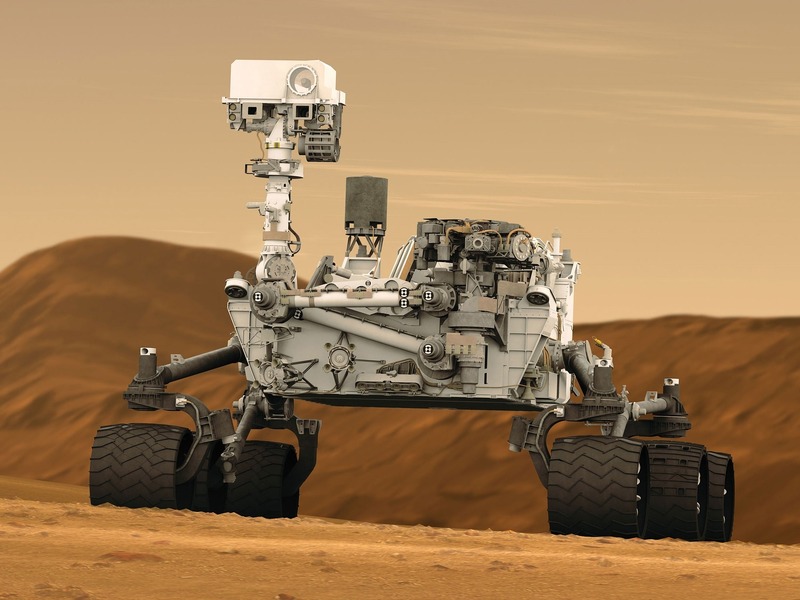 It is hoped that Curiosity could discover intact, heavier-duty carbon chains. With two sets of cups to complete either dry or wet experiments on board, it continues to search for examples of organics compounds. To date, the wet chemistry cups have been unused. This has been mainly due to a problem that occurred with the onboard drill in December last year. 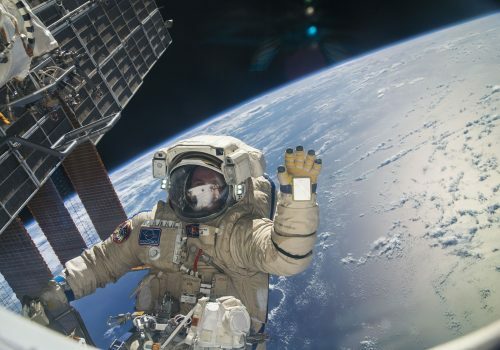 Possible resolutions to that particular problem are currently being researched at NASA’s Goddard Space Flight Center in Greenbelt, Maryland. Presently the million-dollar question as to why Mars went from a warm and wet planet, to a cold and dry one remains unanswered. The evidence that has been obtained so far by Curiosity is that Mars was originally a much more hospitable planet. Things changed approximately 3.5 billion years ago, and one of the theories is that the Sun’s own particles blasted away much of the atmosphere surrounding Mars as well as most of it’s protective magnetic field, causing the climate to change. Scientists are hoping that Curiosity will stumble across evidence of the wet to dry evolution within it’s investigations towards the peak of Mount Sharp. Radio stations could soon be incorporated within your clothing and film posters. Engineers have been busy designing antennas that can be utilised in everyday items. A simple device has been designed by University students Vikram Iyer, a graduate in Electrical Engineering based in Seattle, and Anran Wang, a graduate student in Computer Science and Engineering. The students had been researching new types of wireless communications that would not require a high energy source, with a view to a creating a device that can function outdoors in a city environment. It was then that realisation took place with the fact that the airwaves are already bristling with wireless communications in the form of radio stations. With antennas not sending out airwaves, they need little power. A small battery (like a watch battery) could provide enough power to an antenna for years. With radio waves carrying energy from transmission towers to car radios, phones and in homes – the new devices are able to take advantage of the current radio waves from large scale radio transmitters to car radios, phones and inside homes. With small changes to the existing carrier signals, these new devices would pick up new sound information, make modifications to the incoming signal, and then bounces these back to listening ears. The device literally needs enough power to change waves, not to create them. Once radio waves strike something, they then bounce off in an alternative direction. This is known as ‘Scattering’. ‘Backscattering” occurs when the wave moves back in the opposite direction. The new device’s antenna will use Backscattering by sending information. 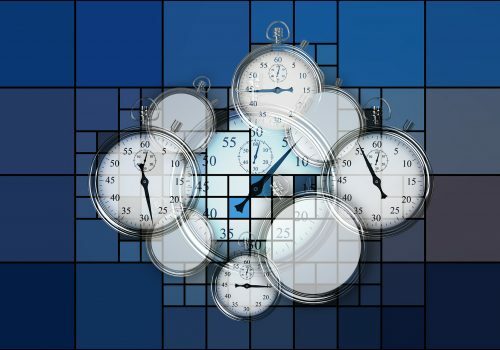 Rather than creating a new wave, it encodes the information it has received, and changes this to a different signal by altering its frequency – in other words, simple Frequency Modulation (FM for short). Iyer and Wang tested their device on a poster advertising a concert in Seattle. They set the system up on a music poster advertising a group called “Simply Three”. Listeners were able to receive transmissions through the FM receivers on their smartphones from nearly 4 meters away, whilst listeners in cars were 18 meters away using their FM car radios. The future could be bright for both Iyer and Wang with their new found device. We could see advertisements and street signs both providing locally, low cost transmitted messages, for example, the names of the junction or a street. These devices have many safety applications, ideal for helping blind people at a traffic light, especially since the majority of these no longer generate a warning sound to indicate to pedestrians when it is safe to cross. Clothing brands – especially sports shops could use their device in their clothing to track ones performance whilst running, using the antenna to track the heart beat of the wearer by transmitting the information to the mobile phone. Iyer and Wang continue with their development and are currently investigating other avenues and opportunities for their device. Underwater, wearing sunglasses, wearing swimming goggles…we’ve all got our own special way of chopping an onion and trying to stop those eyes watering – but what is it in an onion that causes our body to react that way? Researchers from the US National Onion Association (yes), estimate that on average each person eats through about 20lb of onions annually and it’s a compound of biochemicals produced by the destruction of the onion known as the ‘Lachrymatory Factor’, that causes your eyes to sting and produce tears. According to researchers, the response to peeling an onion is in fact a bodily defence mechanism to stop you from biting into a raw onion. This is how it works – as each cell is destroyed in the onion, the Lachrymatory Factor (LF) is then released as a gas into the air. As it rises and contacts your eyes, nerves are stimulated inside that then cause pain. An enzyme, known as ‘Lachrymatory Factor Synthase’ (LFS), stimulates a chemical reaction to the cut onion, which then produces the ‘LF’ agent – baffled? 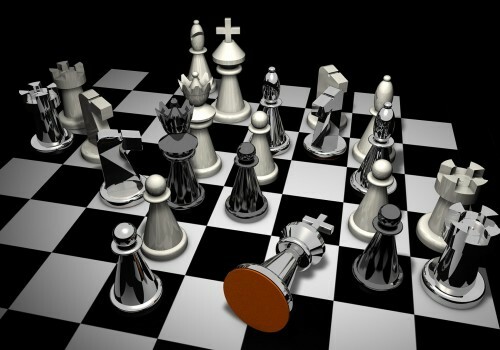 A team a chemists believe they have found the answer. Analysis was taken of the area where the LFS enzyme was present to explore how it combines with sulphur composites that are released by the onion to produce the LF. Although a little complicated, Marcin Golczak, lead author of the study and a reknowned Pharmacologist from Case Western Reserve University, explained that the enzyme is involved in the “repositioning of double bonds”, turning a chemical compound called (E)‑1 Propenesulphenic Acid into the LF agent. This particular acid is a rare class of compound – in fact, only four types exist naturally. So when you’re in the kitchen chopping those onions; you now know that you are crying because the onion has released (E)‑1 Propenesulphenic Acid, that has activated the onion’s LFS enzyme into another compound called Syn-propanthial S-Oxide, which then repositions the double bonds of the acid – and makes your eyes sting. Onion preparation advice from the US National Onion Association have advised consumers that to minimise tears, they should chill the onions prior to preparation. By chilling the onion, you are slowing down the process that releases the compounds that produce tears. On top of this, they have also advised that you should use a sharp straight edge knife rather than a serrated edge as this will cause less damage to the fleshy cells of the onion. 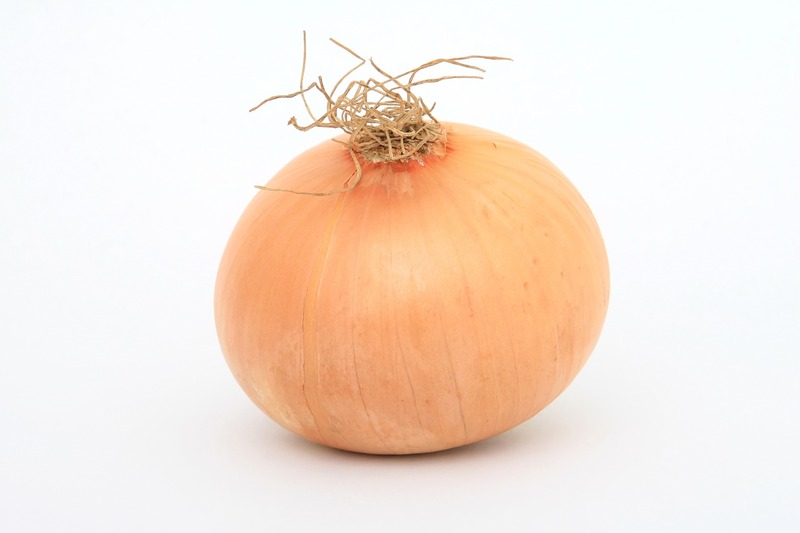 In fact, a Japanese food manufacturer has created a ‘Tearless Onion’. By exposing the onion with a stream of ions they have effectively deactivated the offending enzyme LFS. Failing that, our scientific advice is to go and buy a bag of frozen ready chopped onions from Iceland.